What’s new with the Apple TV? On paper there’s a lot to talk about, but in reality it doesn’t feel all that new at all. First of all, it’s had a big bump in the specs. We go from an old A5 processor to a much newer – if not quite cutting edge – A8 chip. That’s the same one that’s in the iPhone 6 and 6 Plus. The RAM has also been quadrupled to 2GB which helps with the new multitasking feature. The new Apple TV also now supports 1080p playback at 60 frames per second, up from 30 fps on older models which will be handy for YouTube content and games. It seems odd and it’s a real shame there’s no 4K support – especially as other devices like the NVIDIA Shield and Roku 4 support 4K60. Most of us don’t really care about 4K right now, but supporting it would certainly have future-proofed the new Apple TV. In terms of design, the 4th gen Apple TV is a lot heavier and nearly twice as tall as the 3rd gen model. It has the same power port (which means it’s a straight swap if you have the old model) along with full-size HDMI and Ethernet ports. They’ve swapped the micro-USB for a fancy new USB-Type C which is great for future devices – but there’s still no standard USB 3 or card reader. Without USB Type-C adaptors, the Apple TV is still a little sparse in terms of inputs. Strangely, we’ve also lost the Optical Audio port which was useful for connecting older sound systems. Running a whole new operating system, the new Apple TV uses tvOS rather than the old Apple TV 6.1 software. That’s not particularly interesting in itself, but along with being much faster, smoother and more responsive – it now features Siri and its own an App Store. Unfortunately, at time of writing just after launch, the app store is a bit sparse – particularly for entertainment apps. Here in the UK we have the usual iTunes, Netflix and TED apps but not a lot else – unless you’re a big fan of NHL or WWE. The good news is that it has been confirmed that iPlayer and Sky’s Now TV will be coming soon. However, without Amazon Prime, ITV Player, 4OD, Plex or Pandora (in the UK at least), there’s still not a lot to watch on the Apple TV. Unless of course you already have a huge collection of iTunes videos and movies or are willing to rent and buy them from the store. To be fair, this has pretty much always been the case with Apple TVs. This time though It’s the apps and games that have the potential to make it really stand out. You can finally play Crossyroad on your big TV – it even supports multiplayer. If you prefer racing games, Asphalt 8 looks great and runs really well. So how do you control these apps and games? With the all-new Siri Remote. For racing games, you can use it like a Wii-remote, steering using the built-in gyroscope and accelerometer. For simpler games or to navigate around menus, you simply move your finger over the new glass trackpad. It’s incredibly nice to use. It’s fast, accurate and is a better way of controlling the Apple TV than the directional buttons on older remotes. As well as having a Menu, Play/Pause and Volume buttons, the remote has a dedicated button to activate Siri. Overall the remote is a nice upgrade, the trackpad feels great, it’s comfortable to hold and can be easily recharged with the bundled lightning cable, the same cable you use for charging your iPhone 5, 6 or 6S which is handy. The main problem with the App Store is that it isn’t the same App Store as you get on your iPhone or iPad. Developers have to optimise and update their apps to support tvOS and so at launch, there isn’t a great deal of games to play. It will of course grow and get better but it’s worth remembering that for now, the vast majority of apps you may be used to using on your iPhone and iPad simply aren’t available on the tvOS App store. On a more positive note, Siri has finally been added to Apple TV. Press and hold the microphone button on the remote to launch Siri. You can ask it to launch an app or game, play a movie, find films with specific actors and even skip ahead or rewind videos movies by 30 seconds or a few minutes for example. I found it most useful to ask Siri to start playing something like, for example “Siri, play Edge of Tomorrow” would begin playing the movie in under 10 seconds. While asking Siri “Show me action films” will bring up links to relevant movies available in a range of entertainment apps, most of the time it will send you straight to iTunes where you can rent or buy it. This is largely down to the limited variety of other video apps available and makes it seem like Siri is always trying to get me to buy something from the store. Generally, Siri is a nice addition. You can ask for the time, weather or for sports scores as you would expect but really it’s just a convenient way of more quickly accessing content. It still doesn’t feel fully fleshed out and too often it will only work the way you expect when you’re already in certain apps like YouTube or Netflix. It’s a nice new feature though and makes navigating the Apple TV easier than ever. The new multitasking feature is also helps you navigate around. A double-press of the home button activates it which lets you swipe between apps you’ve recently had open. In the same way as you would on your iPhone or iPad, you can swipe up to close apps too. It’s actually quite handy to be able to quickly jump between games, apps or movies and thanks to the improved hardware, it’s pretty quick. With better hardware, a more intuitive user interface, apps, multitasking and the new Siri remote – there’s quite a lot of new features in the 4th Gen Apple TV. Yet, it doesn’t really feel much different to older models. Apple is marketing this as the Future of Television, but it doesn’t really feel that way. With so many smart TV boxes on the market from the Roku 4, NVIDIA Shield, Amazon Fire TV, Chromecast and of course games consoles like the Xbox One and PS4 – it’s difficult to see how the Apple TV really stands out. The lack of 4K support and fairly long loading times launching apps and streaming movies don’t help either. I also feel the Apple TV is constantly trying to get me to buy things from iTunes. Most Siri searches end in an iTunes listing with rental or purchase options. It’s definitely the best Apple TV – the interface is simple and intuitive, the remote is great to use and the addition of the App Store gives it a lot of potential. 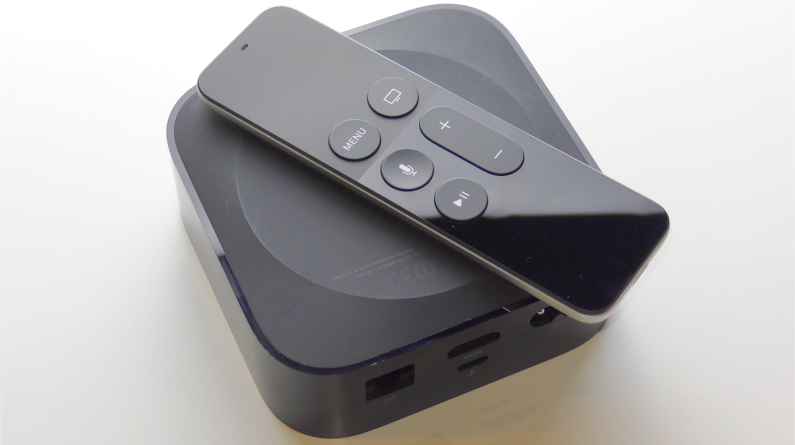 The new Apple TV is the most powerful and intuitive Apple TV to-date. However, except for a fairly limited range of apps available in the new App Store, fundamentally it offers the same core experience as previous generations of Apple TVs. With the 32GB model costing £129 / $149 – I would say if you regularly use an Apple TV and are happy with the services it provides, I would recommend upgrading as the 4th gen model it is a lot more enjoyable to use. If you’re on the fence about buying one, I don’t think it’s worth the investment – especially if you already have a smart TV, games console or Chromecast. I hope you found this review of the new Apple TV helpful. For more of the latest tech news and reviews subscribe to my TechChapTV YouTube channel. Galaxy S8 vs OnePlus 3T – Which Should You Buy?